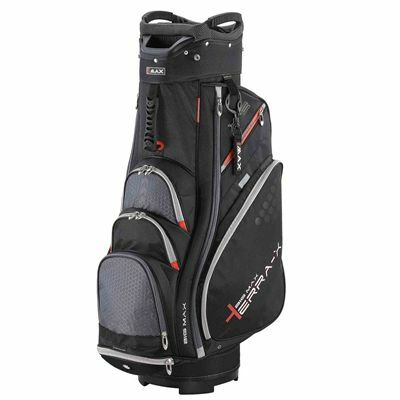 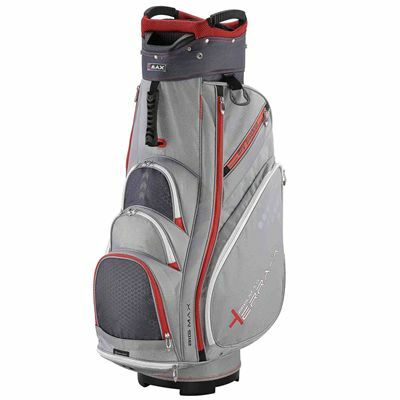 The Big Max Terra X2 cart bag is a spacious and practical option and helps you keep the gear organized and protected thanks to an oversized 9.5” (24.1cm) 14-way top. 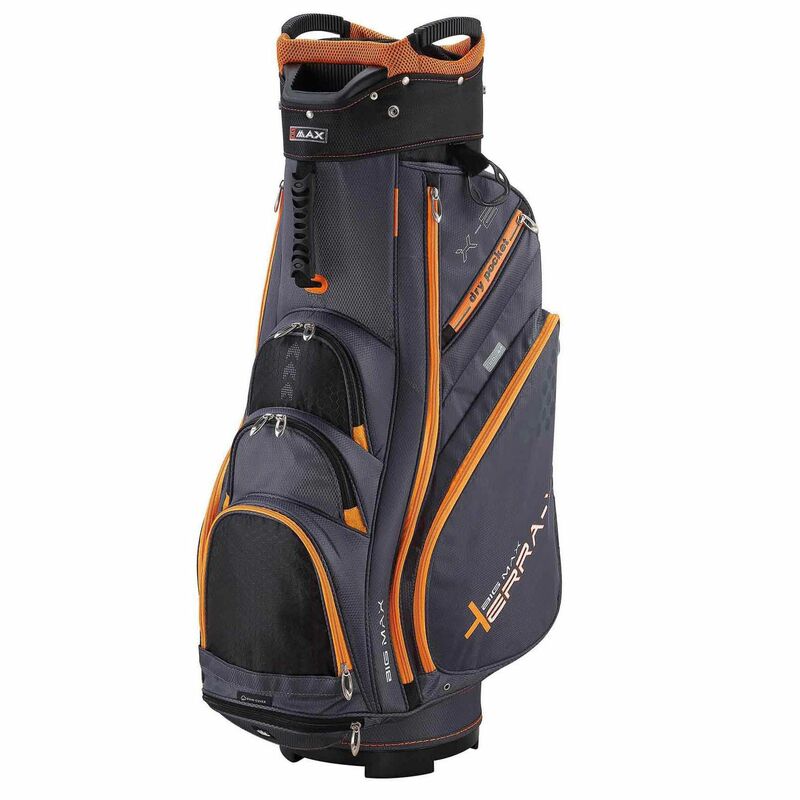 It provides plenty of room for your equipment and apparel in its 9 forward-facing pockets and has an umbrella holder and an internal rain cover for a round of golf in poor weather. The Terra X2 features a valuables pocket for your smartphone, a towel holder and a glover holder with a Velcro strap for added comfort and to make the bag complete, there is a tee and pitchfork holder. Plus, a cooler pocket helps to keep food fresh and a dedicated battery pocket for e-trolley guarantees further protection. for submitting product review about Big Max Terra X2 Cart Bag.